FHA, the Federal Housing Administration, has announce many changes for 2010. The FHA wants to lower its market share in residential mortgages throughout the United States. They are currently insuring around 40% of mortgages throughout the nation. In an attempt to lower market share, they are increasing their UFMIP from 1.75% to 2.25% on all FHA loans. A little over a year ago, this amount was only at 1.5%. Most of the 2010 changes to FHA will not take place until April. Althought these 2010 changes to FHA are positive, it will also slow any recovery to boost the housing market. Odds are, they will only last for a couple of years. 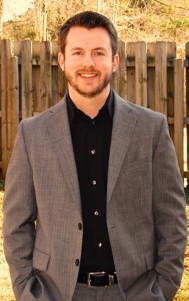 For more information on other loan products, visit Justin Messer at GBCmortgage.com. Increased Enforcement- HUGE WIN! Let's get the lenders that are not playing by the rules out of here- - the one's doing it right! We all have to follow the same rules, so no one has a leg up! 3% vs. 6% seller concession- talk to your borrowers about gifts! This is an operational change to make information more user-friendly and hold lenders more accountable; it does not require new regulatory action as Neighborhood Watch data is currently publicly available. Enhance monitoring of lender performance and compliance with FHA guidelines and standards. Implement statutory authority through regulation of section 256 of the National Housing Act to enforce indemnification provisions for lenders using delegated insuring process Specifications of this change will be posted in March, and after a notice and comment period, would go into effect in early summer. These changes are a positive move for our industray. Industry leaders will embrace them and continue to help more people achieve their dreams of home ownership! Whoa! Big changes coming? I don't have true facts and figures, but some of the local mortgage loan originators that I talk with say over 70% of the loans in our area are FHA.